The Fun Day this year is on Sunday 20th of August and will follow the tried, tested and ‘Fun’ formula. That of course means that the sun will be out and the only wetness involved will be from the canal during the Cardboard Boat Race. 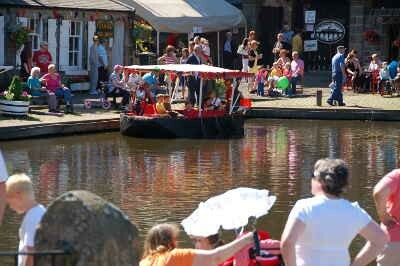 The venue for this great annual event is Linlithgow Canal Centre and its immediate surroundings. 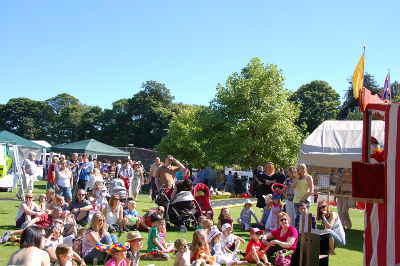 There will be a variety of stalls in Learmonth Gardens: local and national charities, the Art Club exhibiting their work, a Punch and Judy show for the younger visitors, along with face painting and musical entertainment provided by members of the Linlithgow Folk Festival Association. Short canal boat trips will be available throughout most of the afternoon, along with a free ferry taking visitors from one side of the basin to the other. There will be a Water Safety demonstration by International Rescue Corps, who also provide safety cover for the event. Throughout the afternoon light refreshments will be available in the Tea Room, plus a Barbecue, an ice cream seller on the Learmonth Gardens side, and ice creams and soft drinks also on sale beside the Tea Room. 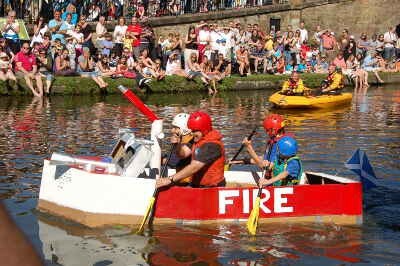 Great fun for participants and spectators alike, the main event and highlight of the afternoon is the Cardboard Boat Race. Of course, the particpants want to stay dry and complete the course in record time, but many spectators enjoy it more when boats and crews sink in spectacular fashion. It is after all a “Fun Day”. Entries are always welcome and a LUCS Fun Day Cardboard Boat Race Entry Form is available for download. 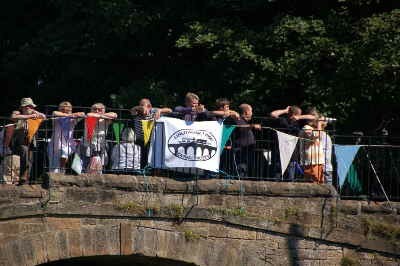 Please note that there is no Avon Aqueduct Cruise on the Canal Fun Day.